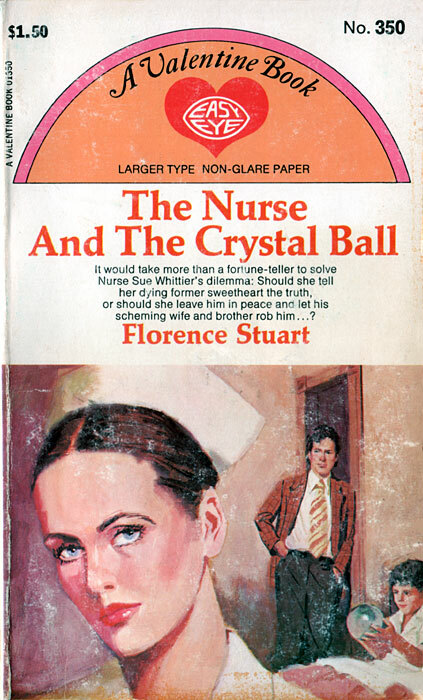 It would take more than a fortune-teller to solve Nurse Sue Whittier’s dilemma: Should she tell her dying former sweetheart the truth, or should she leave him in peace and let his scheming wife and brother rob him…? My bride-to-be ditched me at the altar for my half-brother named Marv. My scheming, blonde ex-wife named Gloria showed up with a snot-nosed kid and a paternity suit. I’d refuse treatment and pray for a speedy end.